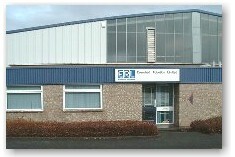 Evershed Robotics Limited have been designing and manufacturing Robotic and Automation systems since the early 1980's. We have numerous systems in many applications including assembly handling, adhesive dispensing, MIG welding, machine loading and many more. technology, one of the worlds fastest robots has been developed to combine smooth fast motion with very high accuracy. Typically used for PCB parts insertion, machine loading, component pick and place. The Kawasaki Robot has been designed as a direct response to customer demands, a great variety of options are available using different arm configurations for various reaches and payloads ranging from 6Kg to 200 Kg.The sealed construction offers a high degree of protection from harsh environmental conditions whilst the motion capability that allows it to "Bend Over Backwards" which gives a large robot in a small package.Typically used for material handling, painting, sealing operations, MIG and spot welding. Mitsubishi have a complete range of fastof 2Kg to 20Kg. They are IP54 rated with clean room options (class 10) combining lightning acceleration with repeatability of +/- 0.03. Typically used for assembly, clean room, food industry, casting, machines loading, adhesive dispensing.